The last time a total lunar eclipse coincided with winter solstice was back in 1638, and it's only supposed to coincide one more time this millennium. Twice in one-thousand years, people. It's the longest night of the year and the shortest day, you may as well have a fun event planned around running in the dark. 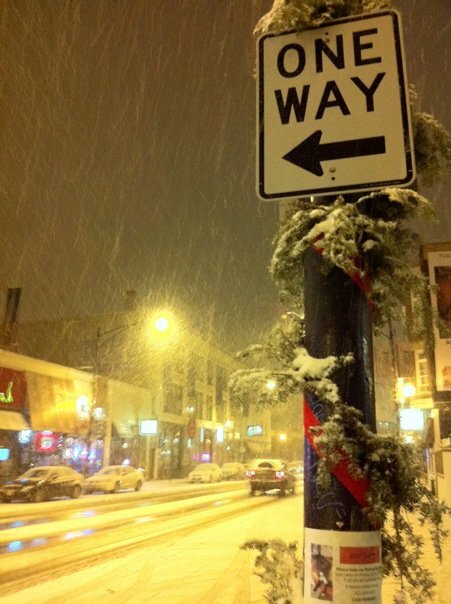 Whether you've run through all of the city's other snow spectacles like the Shamrock Snow-Shuffle, last week's Rudolph Ramble or the year of the snowy Chicago Marathon (and that's not even all the events marred by our crazy bad-timing weather), or you've never braved the elements, you'll earn your bragging rights tonight. Snow covering the ground, sub-freezing temps, and a run that starts when you would ordinarily be in bed? I'd award a badge on the spot. An event with Fleet Feet and Nike involved? From fashion shows and shoe unveilings at Fleet Feet to Nike's special runs back in March and April, I haven't been disappointed yet. You'll get a chance to trial the newest shoes to join the Nike family, the LunarEclipse+, before most others. If you're one of the first 75 people through the door, you'll score a limited edition Nike tee. And if you spend more than $50 on Nike product, you'll go home with a gift valued at $30--perfect for any gaps on your gift-giving list or to gift yourself. Music, food, drinks and a raffle? That's better than spending the night at the bar, with a workout to boot. So come on, what are you waiting for? Tonight could be the closest you get to a bona fide snow day--and those who think you're weird for playing with the powder will all be in bed. I'm still planning to attend (I live too close to find a good excuse to skip out anyway), are you? Photo by Alison Rezabek, featuring the way Chicago looks tonight as the snow falls. I like your article.And you can have a good see in nike lunar eclipse. thanks for visiting the site and for liking the article! You're so right on the Lunar Eclipse shoes...they also look really nice. I haven't tried them yet--I'm a regular in the Lunarglides--but have you?